Random House Books for Young Readers, 9780375833694, 192pp. How did Dr. Seuss come to write The Cat in the Hat? Were these books instantly successful, or did their popularity build? The answers to these questions and more can be found in this fascinating illustrated study of two books that changed the way our children learn how to read. According to Professor Nel, The Cat in the Hat and its sequel operate on many levels. The books teach reading, but they also teach about poetry, politics, ethics, comics, history, and even conartistry! 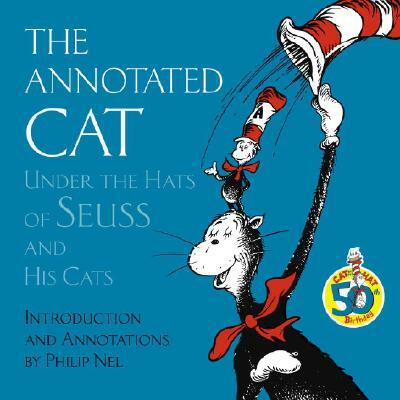 Complete with the text of both books, photographs, draft material, and essays by Seuss, The Annotated Cat is like a DVD with all the extras. Cat lovers everywhere can gain a deeper understanding of two of the most popular children's books ever written, and the remarkable man behind them.